A slightly older picture from a brilliant summer day on Islay. The MV Isle of Arran, then regular ferry, now relief boat, is waiting at the linkspan in Port Askaig. The Paps of Jura on the right. This entry was posted in Landscape, Repost, Sunny Weather, Village and tagged Islay, MV Isle of Arran, Paps of Jura, Port Askaig, Sound of Islay by Armin Grewe. Bookmark the permalink. We’ve sailed on her in all weathers – she served Islay well. 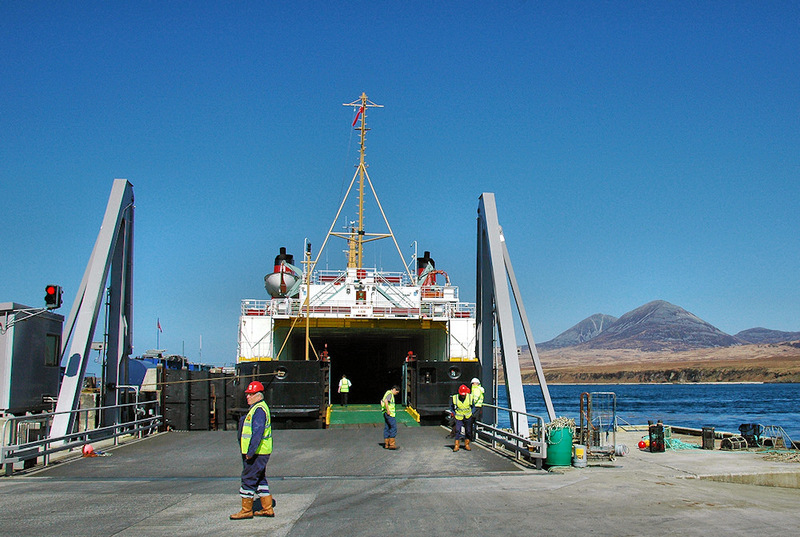 Still does on occasion – when Calmac ‘steal’ Finlaggan or Heb Isles.